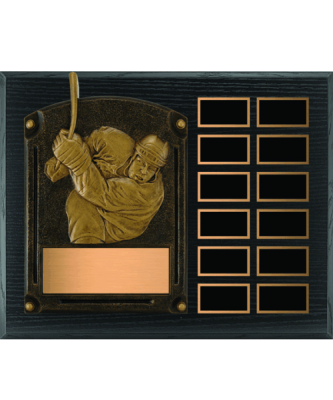 Our fantasy armchair trophy offers a 2 tiered black wooden base and gold front plate that can be customized with your text/logo of choice. 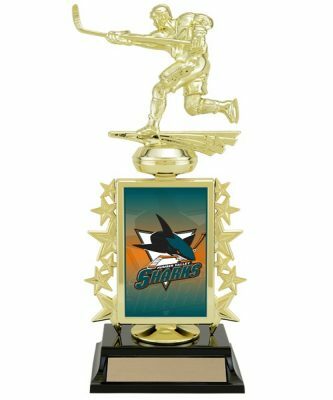 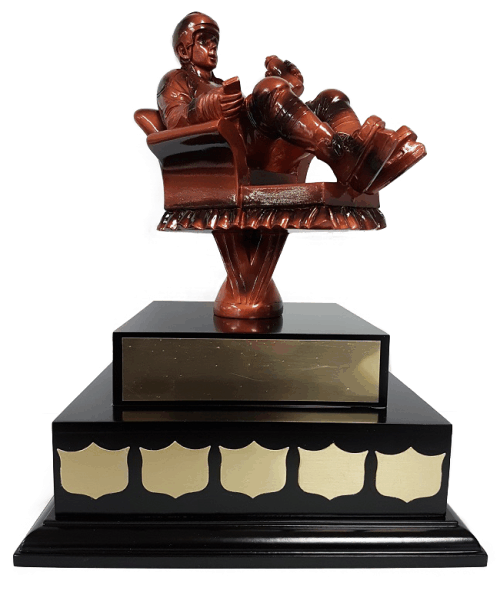 Fixed with your armchair hockey figurine, this award also allows you to add additional plates for your winners (extra charge). 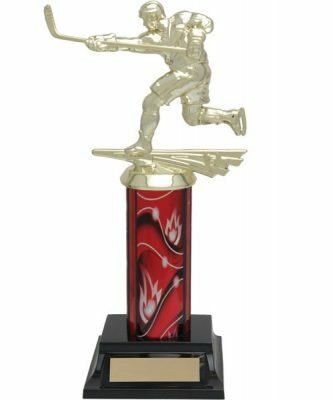 Perfect for those leagues looking to invest in a trophy that will last for several years!